Tired of the typical indie, folk, and pop? Looking for some music that breaks the mold? 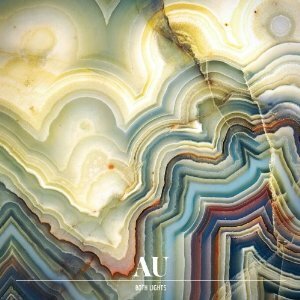 Look no further than Portland band AU (pronounced ay-you, as in ay-you should listen to this album). This duo, with Dana Valatka on drums and Luke Wyland doing everything else, can hardly be boxed into any genre. Their music is literally all over the place, with Wyland simultaneously singing and playing multiple instruments. What instruments you may ask? All of them. Think of an instrument: trumpet, piano, guitar, you name it and throw it on in. But the disarray is a good thing and their chaotic melodies stay grounded in Wyland’s eerie vocals. Their new album Both Lights starts off with the song “Epic” which is a four minute jam session that sounds like the lovechild of hard rock and indie pop, and is…epic. The track “Crazy Idol” features a haunting mix of piano sounds, noise clips, and classical vocals. “Solid Gold,” my personal favorite, starts out slow and then kicks up the tempo at least a dozen notches. On each track, AU does an impressive job of blending dozens of seemingly different noises together and still making it sound awesome. The band is about to embark on a European tour. I know I’ll be seeing them as soon as they come home.